In 2018, it has been predicted that conflict will remain the main driver of humanitarian needs, while natural disasters will also cause many people to need emergency aid. Overall, it is anticipated that more than 135 million people across the world will need humanitarian assistance and protection and this number is set to increase. In 2016, SAMS launched SAMS Global Response (SGR). With its first mission in Greece, assisting Syrian, Iraqi, Kurdish, Afghan and other nationalities from sub Saharan Africa seeking asylum in Europe who were living in tented housing and receiving minimal relief assistance. That mission has since grown and become a full-time SAMS mission project. Since then, our chapters and members have enabled us to respond to hurricanes, typhoons, earthquakes, refugees, and floods throughout the world. Monitoring: SGR constantly monitors developing weather situations, earthquake activity, and other forms of natural and manmade disasters. By staying up to date on potential situations we are able to deploy assessment teams and supplies rapidly. Assessment: Our Global Response capacity allows us to send in assessment teams to the field to gauge our level of response. In many instances our teams establish partnership with likeminded health NGOs reducing overhead costs and increasing effectiveness. Our assessment teams gather critical information and report that back to our SGR Committee where the scope of our response is determined based on pre-determined criteria. Response: Disaster response efforts vary depending on the nature of a disaster but typically consist of rotating medical response teams and volunteers in the field, training and mentoring local health providers and the shipment of disaster relief supplies. Our field teams set up emergency primary health care services, upgrade critical care services, distribute relief supplies to survivors and coordinate medical volunteers who serve as a core component to our response methodology. 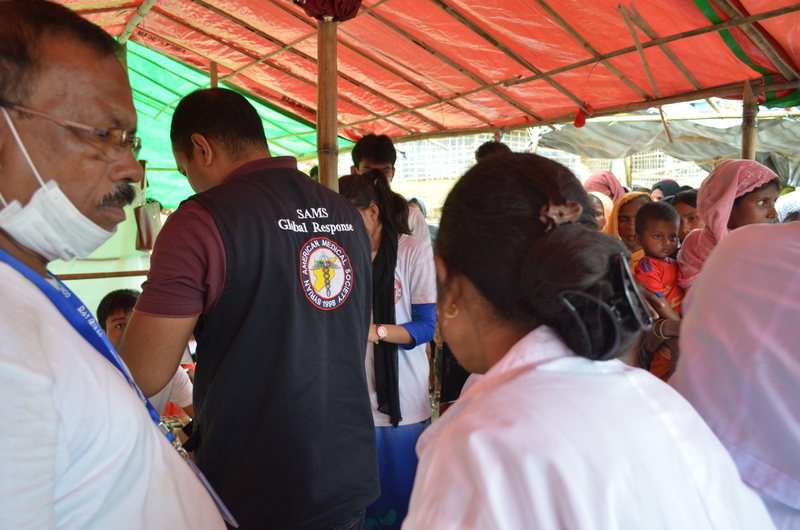 Coordination with other NGOs, UN clusters as well as local Ministry of Health and Government officials is an essential part of our disaster response work. Recovery: Through working and training local NGOs and counterparts, we build capacity where is best capitalized – local first responders. To support our global effort, please donate to our SAMS Global Response Fund.